THERE are some remarkable similarities between the rise and rise of NSW premier Gladys Berejiklian and that of her Queensland counterpart, Annastacia Palaszczuk. Both are from immigrant stock, working extraordinarily hard to get to the pinnacle of Australian politics, running NSW and Queensland respectively. They are outstanding "retail'' politicians who took on men at the ballot box and beat them handsomely. 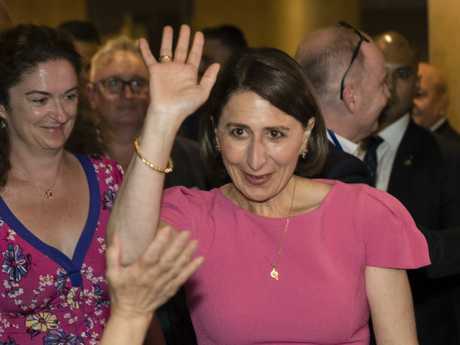 Both are fiercely protective of their families and are proud of their ancestral past, Berejiklian being Armenian and Palaszczuk with her Polish links. However they are light years apart on the economic policies being applied to their respective states. NSW voters rewarded sound fiscal and economic performance. It was hard hats at 20 paces. They were not particularly enamoured with the Liberal National brand, particularly the in-fighting in Canberra, but they put aside their federal concerns to return a Coalition that put the economy up in lights. Contrast this with Queensland and the Labor Government's inability to get the state firing. On just about every economic measure undertaken among the states and territories, Queensland languishes near the bottom. In NSW, unemployment is 4.3 per cent seasonally adjusted and in Queensland it is 5.4 per cent, the second worst in Australia. Unemployment in places like Townsville is above 10 per cent. The value of engineering work yet to be started for the most recent December quarter is the worst since 2006. Queensland debt to revenue ratio is much higher than NSW and Victoria. NSW has created 125,000 jobs in the past 12 months. In fact, latest CommSec statistics show that 85 per cent of all jobs nationally have been created in NSW and Victoria. NSW is spending a fortune on new infrastructure, outgunning Queensland by 2:1 in the value of public and private construction work underway. Here in Queensland, the QCCI released a report last month which shows Townsville is in structural decline - growth is a net negative. In NSW, they are moving 800 jobs to Orange, decentralising the Industries Department. According to the latest Westpac consumer confidence figures, business confidence in NSW is the strongest in the country, just ahead of Victoria. We rate second last in the country on consumer confidence, just in front of the Northern Territory, which is going broke. The booming NSW economy comes off the back of a decision by Berejiklian's predecessor, Mike Baird, to lease half of the state's electricity infrastructure and the power grid, privatising it and using the billions of dollars in revenue to build the roads, tunnels and stadiums NSW needs to cater for population growth. 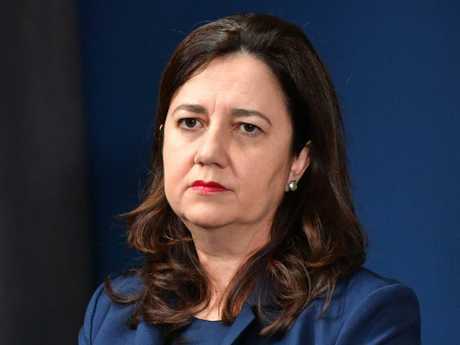 Time is running out for Premier Annastacia Palaszczuk to become a proactive leader. The fact that the Left of the Labor Party now runs Queensland is the main reason we are caught in the economic quicksand. The Left are anti-prosperity. Their ideological zealotry makes them policy pygmies. The problem for Labor in Queensland is that it is so scared of losing power that it won't make any decisions that are unpopular, other than screwing the regions by halting job creation projects. Unlike Queensland Labor, Berejeklian didn't have to contend with a rail debacle, a scandal in rural maternity provision and the unions running building sites, forcing developer prices up by 30 per cent. Throw in Queensland's refusal to addfress the state's burgeoning debt - tipped to be $80 billion by 2020 - and you can see why there'd be a few nervous nellies in George Street heading into the next election. Labor has taken the view that if it can hang onto Brisbane and pockets of the southeast, bugger the rest of the state. It's a bit like alternative federal treasurer Chris Bowen's taunt to self-funded retirees on the franking credits - if you don't like it, don't vote for us - knowing full well self-funded retirees don't vote Labor anyway, because they find its anti-progress policies repugnant. Queensland Labor has to start standing for something. NSW voters rewarded a government that stood for something and got on with the job of creating jobs and building infrastructure. The Queensland Premier's best bet is to forget the factions and start approving projects like Adani. Otherwise another woman, LNP leader Deb Frecklington, will follow the Berejiklian model and run right over her come October next year. Voters are tiring of the stagnation and lack of vision. 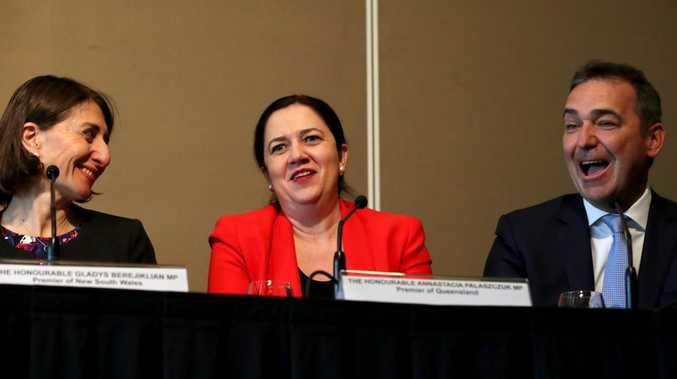 Palaszczuk is being urged by close confidantes to start listening less to her deputy, Jackie Trad, and more to the business community. She needs to break free of the factional handcuffs and learn from the NSW result. Governing on autopilot won't fly with voters. IT'S interesting that the police officers seconded to the Queensland Racing Integrity Commission to investigate alleged racing offences don't report to QRIC commissioner Ross Barnett. Instead, they report to their immediate superior at the Queensland Police Service. It's an anomaly that needs to be fixed. The only way these officers can do their jobs properly is to report to the person who heads up QRIC. MORE on ticketing issues on the Viagogo site. This is a major problem for the ACCC. One man wrote to me last week to say he had bought two tickets for The Book of Mormon, and was charged $311. When the tickets were emailed to him, they had a face value of $60. QPAC told him there was a chance the tickets had been resold multiple times and they couldn't guarantee his tickets would be honoured. How can Google allow these ticket websites to operate on their platform? The ACCC probe into the tech giants has much work to do. A NEW person has emerged in the race to be police commissioner. Top traffic cop Mike Keating's name has been bandied about as a real possibility. My sources say he's very popular with the rank and file, and morale would not be an issue. BICYCLE Queensland wants a Road Safety and Healthy Travel Commission. Just what we need, more bureaucrats. CEO Anne Savage - a keen cyclist - has written to Transport Minister Mark Bailey saying, "I prefer not to die waiting for it to happen." PRESELECTIONS are soon to take place for the Liberal Party leading into the Brisbane council elections this month. Expect a high-profile local to stand as an independent if the LNP re-endorse Kate Richards in Pullenvale. My sources say the independent will go close, having said he would oppose the controversial Mt Coot-tha zipline.